After a year-long Initial Coin Offering (ICO), EOS has accumulated a staggering $4 bln, something which no other ICO has ever done before. This goes to show how many crypto enthusiasts are patronizing the said technology. They are not wrong; compared to many blockchain platforms including Ethereum, EOS boasts features that are solely available to its blockchain. However, the recent mishaps proved that the technology still has many gaps to fill, and that the notion that it is the ‘superior’ technology seems contestable at best. From here on, readers are encouraged to take every information presented with a grain of salt. After a week-long deliberation and last-minute tests performed by block producer candidates, the blockchain’s launch button was pressed on June 14. Everything was fine, until on June 16, a bug was reported to have caused for the entire EOS Mainnet to ‘pause’, freezing every single transaction on the blockchain. This happened merely 48 hours after the mainnet went live. The block producers conferred to fix the issue, claiming that they would be able to restore the system to its full functionality three to six hours after their posted announcement. True enough, the mainnet was running again after five hours, thanks to Block.one. A day after the ‘pause’, seven EOS accounts were deliberately frozen to prevent theft. This began when some users migrated to the EOS blockchain from Ethereum, only to be tricked by fraudsters into giving away their private keys. However, the fraudsters could not sell the tokens immediately, as they still had to un-stake them and wait for three more days. This gave the former EOS holders enough time to report the incident to the EOSIO Core Arbitration Forum (ECAF), which was the arbitration arm of the said blockchain. ECAF didn’t decide on whether to freeze the suspectedly-burglarized accounts or not, claiming that it did not have jurisdiction on the issue just yet. However, block producers have acted unanimously to freeze the accounts one day before the fraudsters could get away with the thievery despite not hearing any final pronouncements from the arbitration arm. On June 18, ECAF released its statement, affirming the action taken by the block producers. Many commended the decisiveness of the block producers, claiming that they did the right thing. From the looks of it, the action must have indeed been right, for it prevented the withdrawal of the stolen tokens. However, it had terrible repercussions, which, if the worse came to worst, could inflict tremendous — and possibly permanent — damages not just to the EOS blockchain, but to the entire crypto world as well. Furthermore, ECAF recently ordered the freezing of 27 EOS accounts which were deemed compromised by hackers or scammers. This drew flak not just from the raucous EOS detractors, but also from the EOS community, including even Block.one’s Dan Larimer. Many notable personalities have spoken out about the seemingly-centralized feature of EOS. This was further revealed, courtesy of what happened recently. The issue regarding EOS block producers’ power to be the only ones who could validate transactions on the blockchain was brought up once more, considering that by becoming so, they could provide considerable influence on every single matter on the EOS blockchain. 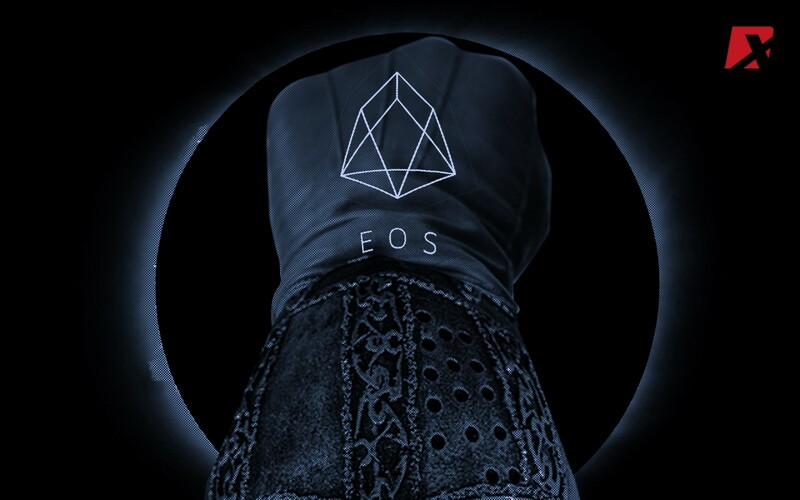 And while EOS boasts its Distributed Proof-of-Stake (DPOS) consensus mechanism which provides better scalability than other blockchains and prevents the same problem that Ethereum had when it was DAO-attacked, but the boost comes with a hefty price. That is why many are criticizing the blockchain for its innovation’s downside, saying that the block producers could “act as ‘de facto’ leaders [who are] able to make executive decisions on proposed changes, or in this case, fixes to the network,” as the article in CoinDesk read. Hence, the creation of ECAF. This may be one of the chief reasons to say that EOS, despite the tremendous support that it has garnered and the number of experts rallying behind its banners, is still in need of more time to iron out its foreseen wrinkles. While many, like Eigenmann, are considering the EOS system itself to be the grave issue, others, like Emin Gun Sirer, consider it to be the least that everyone should worry about. The Cornell University professor explained that if block producers indeed wield the power to roll back misbegotten tokens back to their original possessors, then it could create a cosmic threat to the entire crypto world. In an interview with CoinDesk, Sirer presented a scenario wherein an attacker succeeds in stealing one EOS from a legitimate user, and the attacker transferred it to an exchange platform and traded it for another cryptocurrency, and in turn, withdrew the crypto from the exchange. If EOS finds out about the issue, then it could roll back the trade, given that it has the power to do so. What would happen is that the exchange platform would suffer from the rollback, losing both an EOS and some crypto. To be sure, EOS has commendable features that many blockchains can only dream of having. For one, they were able to overcome hurdles in a short span of time when others, including Ethereum, struggled for a time. However, if there was anything that this month’s mishaps have proved, it’s that every technology, no matter how advanced or seemingly-foolproof it appears to be, will continue to have its weakness as long as a person, especially one with an ulterior motive and a rather limited view of things, holds the control. EOS still has many issues to address, and the mainnet can continue to go live while they are bettering the system. But one can only hope that nobody suffers irreversible losses while they’re at it. Author Bio: Jesus Dawal Jr.
A blogger who spends his waking moments contemplating about life in retrospect, and one who imposes a strict journalistic discipline on himself. He follows many cryptocurrency news portals, believing that cryptos will one day replace fiat money as the generally-accepted means of payment.